(VOVWORLD) - US President Donald Trump has decided to withdraw from the optional protocol on dispute resolution to the Vienna Convention, in connection with a case challenging the recent embassy move from Tel Aviv to Jerusalem. 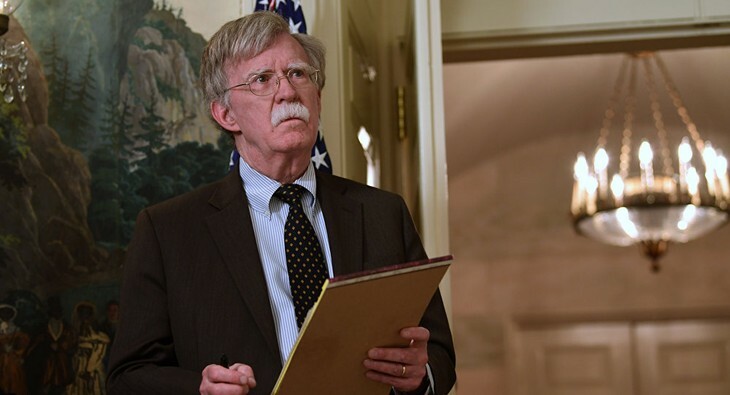 US National Security Adviser John Bolton on Wednesday said the International Court of Justice, ICJ, is an "ineffective" body and the US will undertake a comprehensive review of all international agreements that could expose it to a jurisdiction dispute resolution in the International Court of Justice. He said the United States remains a party to the underlying Vienna Convention on Diplomatic Relations and it expects all other parties to abide by their international obligations under the convention. Earlier in the day, the International Court of Justice made a preliminary ruling, partially upholding Iran's lawsuit filed in July, and ordering the United States to lift sanctions related to the export of humanitarian goods and civil aviation equipment.